Anita Jo Intenzo-Haunted Author: ARE ARTISTS NATURALLY PSYCHIC? What is it about the artistic mind that seems to allow the remote and intangible to filter through channels in our reality? 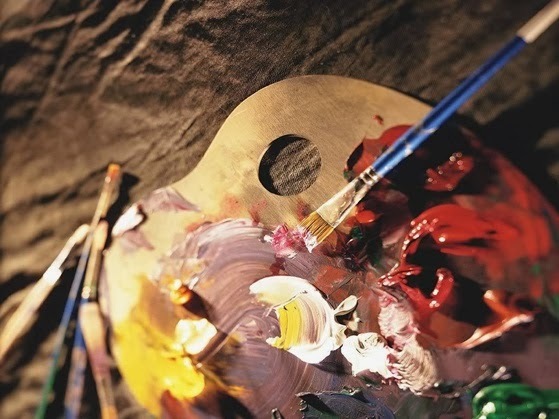 Is it possible that individuals who are gifted in the arts tend to be more spiritual and—psychically attuned? Individuals in the arts, seem to be at least mildly “in touch” with spiritual essences that are not immediately made available to the average person. But is this really a gift that many artists seem to have, or is it just the result of creative aspects working with the minds of certain personalities creating the sometimes-convincing impression of being gifted with special abilities? There have been studies linking musical abilities with increased success in various other cognitive activities and theories regarding level of artistic or musical ability in relation to extra-sensory gifts. 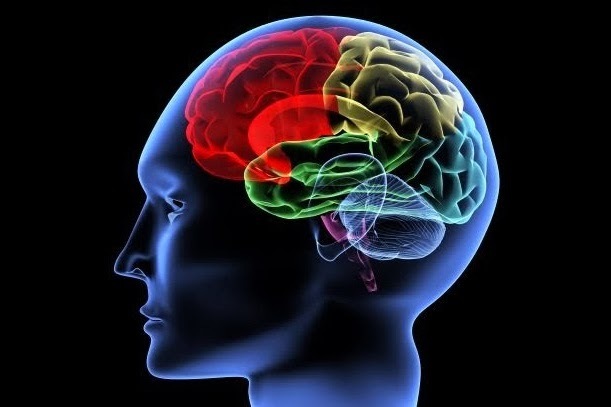 What constitutes “psychic” ability could stem from a general physical sensitivity a minority of individuals may possess naturally or have developed over time. Creative people separate themselves from the "crowd" and are often quite alone in their endeavors to express their work. There is a meditative quality in the process of creating and when an artist, musician or writer are working they go into their own "zone". 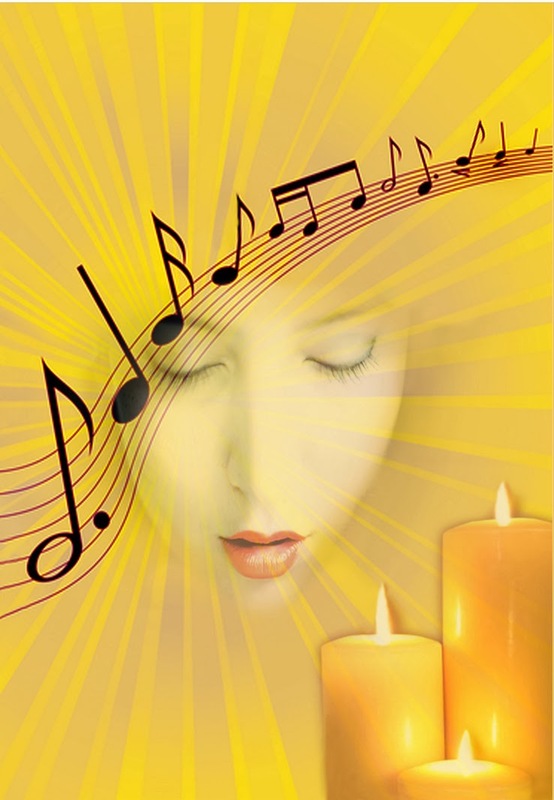 One of my illustrations for a opera singer client of mine for her program. The processes used for obtaining psychic abilities are most often spiritual in nature, and thus things that, arguably, more artists, musicians, and generally creative people will gravitate toward. Many times they report an almost out-of-body experience: where time, environment and hunger are not important and a spiritual connection to the invisible Universal Intelligence takes hold-there is only the musical score, the painting, the sculpture or the manuscript that is important and all consuming. I know of this creative process first hand. As a person who wanted to be artist since she could hold a pencil, art has been my life. One does not seem to have a choice. The creative fire takes hold of you at an early age and will not relinquish its hold on you. Inspiration takes over almost possessively and you must complete the work. I also personally have experienced psychic "abilities" of ESP/telepathy, precognition, and emphatic feelings all my life that I didn't think was anything special. I believed my extremely sensitive nature and temperament just went along with the territory of being an artist. I know different now. After writing my book, Estate of Horror, that has just been published, I have and even now confronting such unbelievable paranormal occurrences I never dreamed could be possible. So did my artistic nature attract the supernatural or did it come looking for me? When you ask an artist," is that your job?" we can only smile and say," its not a job, it's what I AM, its my life!" Artists don't retire from their art. It's like air to us. I will stop being an artist when I stop breathing. They will have to pry the paint brush out of my cold, dead hand when I die! We can only hope our art work has left a meaningful legacy. 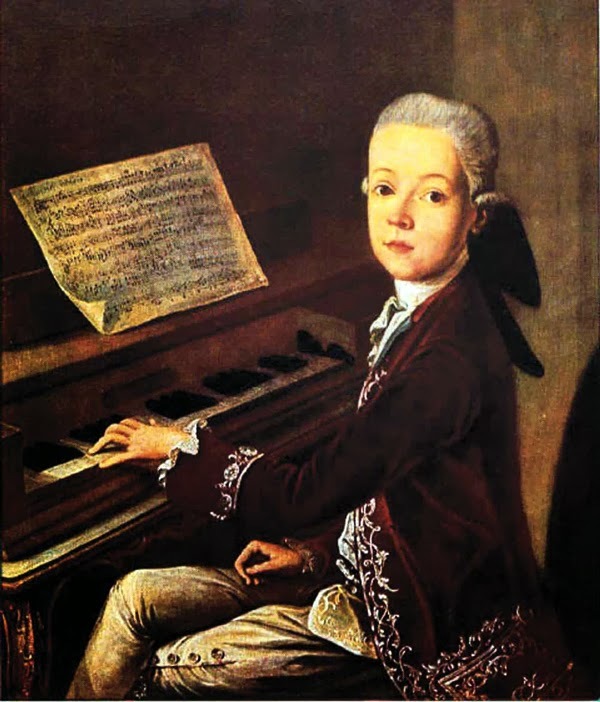 In the case of the musical prodigy Mozart, who played the piano in public at the age of 4, composed his first sonata at age 6 and at the age of 14 had his first opera performed in front of the Austrian King. He was prolific in his short life (died at age 35) and produced 600 works:sonatas, symphonies, masses, concertos and operas, marked by vivid emotion and sophisticated textures. Mozart spoke about the ability to tap into a higher source beyond the normal bounds of our world and receive the "Heavenly" music in its entire composition. Indeed, when historians research his written compositions they notice there are no mistakes or reworking of his musical notes. He wrote down the music flawlessly as almost it being dictated to him directly from a supernatural, creative force. I can't help but think this can compare with regard to those people with psychic gifts who “hear” information from unseen sources. 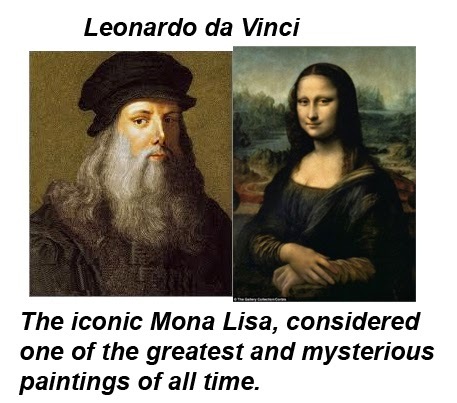 Who can forget to include one of the greatest painters, inventors and the ultimate Renaissance man-Leonardo da Vinci. At the age of 14 he began apprenticing with the artist Verrocchio. 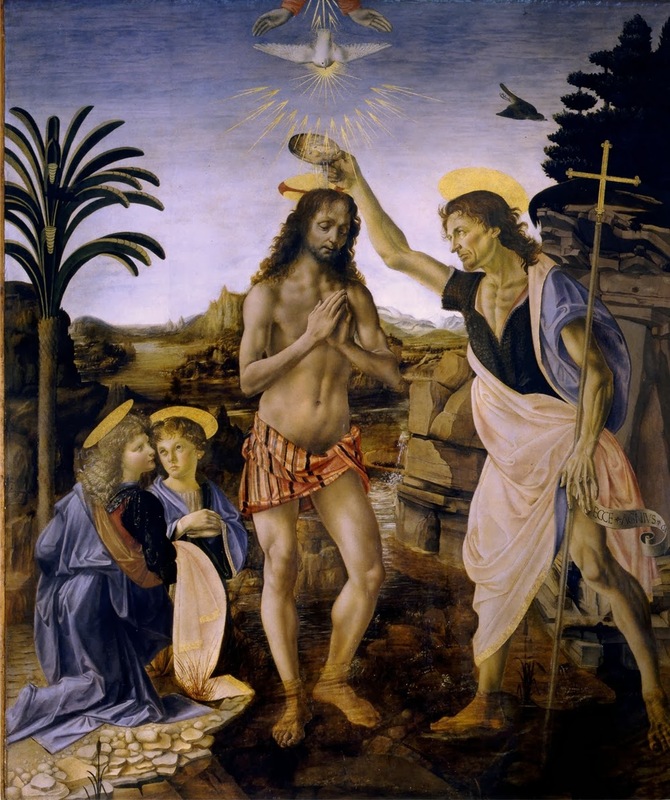 At 17 da Vinci worked on the religious painting, "The Baptism of Christ" which included an angel that his teacher Verocchio would paint and one by Leonardo. He promptly out-painted his teacher by producing an angel of such superior quality and of such an "other worldly", ethereal nature that master Verocchio threw down his paint brush and vowed never to paint again! Look at the exquisite angel to the far left that da Vinci painted compared to the "bored looking" angel his teacher Verocchio painted. For six years, he learned a wide breadth of technical skills, including metalworking, leather arts, carpentry, drawing and sculpting. By the age of 20, he had qualified as a master artist in the Guild of Saint Luke and established his own workshop. Later he would produce some of the most ingenious inventions that were 500 year ahead of his time! What prophetic, psychic force was he tapping into? In the end, perhaps it’s really just a case of which came first: the psychic chicken, or the cosmic egg itself, which holds the answer to riddles such as psychic phenomenon in the first place. Without one, we may not be able to fully understand the other; whether people with innate psychic abilities gravitate toward the arts, or study of the arts themselves are the impetus behind such talents, we may not be capable of discerning… for now, at least.